Puppet has unveiled an open source container inspection tool it calls Lumogon — a tool that the company argues has become necessary, given that developers in everyday practice build their container images using a layered approach that has become less and less predictable. 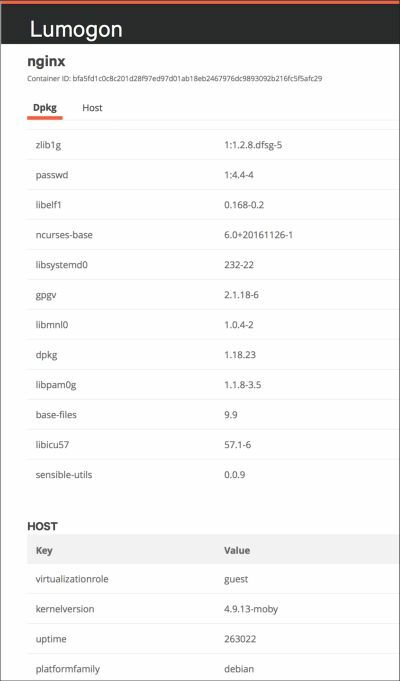 The case was made early on that nothing makes a Docker container more transparent and open about its contents as its Dockerfile, the short list of commands executed by the Docker engine to build a container image. Read the container’s Dockerfile yourself, and you should know what it will contain. But all this assumes that the commands that an organization uses within its Dockerfiles are straightforward, and their outcomes pre-ordained if not largely predictable. This may not be the case in general practice, Rushgrove argued. Lumogon will be released in tandem with — at first, as a limited tech preview — of its Puppet Cloud Discovery online service. Rushgrove described this as a kind of perpetual data warehouse for the metadata produced by container images. He suggested that Lumogon’s reports, coupled with the information about particular packages included with container images stored within Cloud Discovery, could make it feasible for management tools going forward — not necessarily more tools from Puppet — to apply policy to the production of container images. Imagine a security system that prohibits the building of an image with a known-vulnerable package, and you get the idea. Rushgrove describes Lumogon as feeding an urgent desire by a class of IT personnel he calls “AppOps.” It’s a term we’ve used only a few times before, referring to people who have been given operational responsibility for applications. They’re not developers, so they’re not “DevOps.” But they own the platforms upon which these applications run. And in organizations adopting cloud-native methodologies, he contends, it’s these personnel who marshal the lifecycle of the application through the production phase — more often AppOps instead of developers. AppOps personnel, as Rushgrove perceives them, are delegated operational responsibility for individual platforms — for example, the Google Container Engine guy, or the Amazon EC2 guy — and all the applications running on those platforms. More than one platform? More than one person. These individuals, as he described them, inherit the dependencies upon which container images rely, from developers who are not so subdivided among the platforms they support. As a result of this decoupling of job functions, he argued, the processes of building container images for production, become disconnected from the original, transparent processes used to build them for testing. An AppOps team may be delegated responsibility (or it’s simply assumed by default), and that team immediately begins making alterations and adjustments. Those adjustments are (let’s not misinterpret what he’s saying) vital to their proper running order. All this makes Lumogon a container management tool for someone who is technical and who does have operational authority, but who is not a developer. But there’s a deeper implication as well: This cultural and/or political division in organizations may actually be working against the immutability of containers — the ideal that an image is always the predictable product of the process that builds it, and if the process should change, the image should be entirely replaced. In the environment whose picture Gareth Rushgrove paints for us, everyday work processes inevitably lead to a situation where the build file cannot speak directly to the structure or contents of its own product. The Alpine Linux package is comprised of a mere handful of dependent packages. Even so, said Rushgrove, the addition of something as simple as the Python runtime will add more bytes overall to the final image size, than the Alpine image had by itself. It may not be possible for a management tool to look forward into the contents of a container image that any container engine will eventually build. What Puppet is advising is a more forensic approach to container image management, that keeps a close and continual watch over its constituent components, and continually monitors Puppet’s new Cloud Discovery service for news about the safety and interoperability of those components. Puppet is making these additions as part of its latest quarterly Enterprise 2017.2 update, announced Thursday. We asked Omri Gazitt, Puppet’s newly appointed Chief Product Officer — formerly the vice president and general manager of HPE’s cloud-native business unit — whether this latest update marks a shift in the profile of the customers he’s targeting, to more of an AppOps model such as Rushgrove described. Puppet Enterprise 2017.2, with Lumogon included, is officially released as of Thursday morning. The company said the tech preview of its Cloud Discovery platform will have a limited release later this month. Version 5 of its open source platform is being geared for release later this month as well. 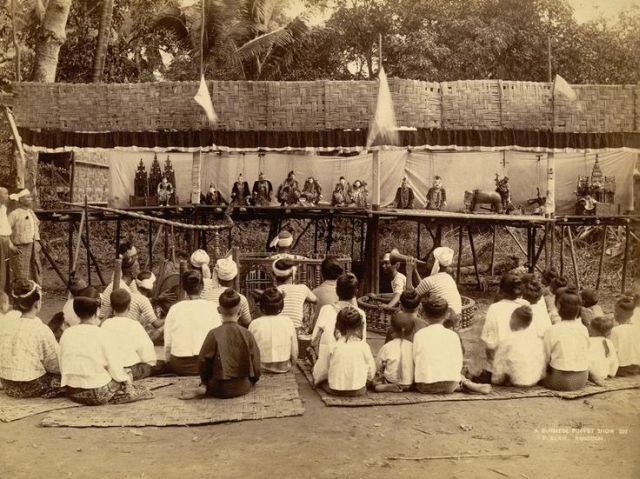 Feature image: A puppet show taking place in Yangon, Myanmar (formerly Burma) circa 1895 by Philip Adolphe Klier, from the U.S. National Archives.